Weird models #1: Ever seen a Jankó keyboard in action? This Schoenberg brand baby piano, unlike many other makes, is a real piano just like its regular counterparts (e.g. hammering onto strings), except it is smaller and having fewer octaves. Despite that, you can still play the full piece of Bach's Invention No. 13 in Am on it without the need to perform any transpositions! And it needs at 4 adults to carry it because of its heavy weight. Makes of other small pianos sound more like glockenspiels instead of regular pianos because they use the mechanism of that of the toy piano's. 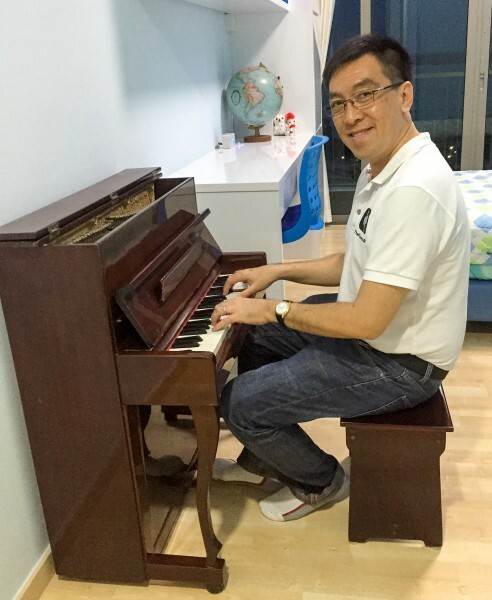 This type of piano is a rare sight in Singapore! In fact, yours is the first such piano that I came across. Thanks for hosting Pianovers Meetup #12 and giving so many of us a chance to actually play on it! Playing on Zensen's baby piano . This is how small it is! Really?! Got tuning course here in SG?? ? Yes, one of whom is our fellow Pianover here! Waa... he/she should advertise the tuning course on this website. I'm sure many are interested! ? A tuning course does sound interesting indeed. You will of course have to invest in a good set of piano tuning hammers, mutes, and forks. 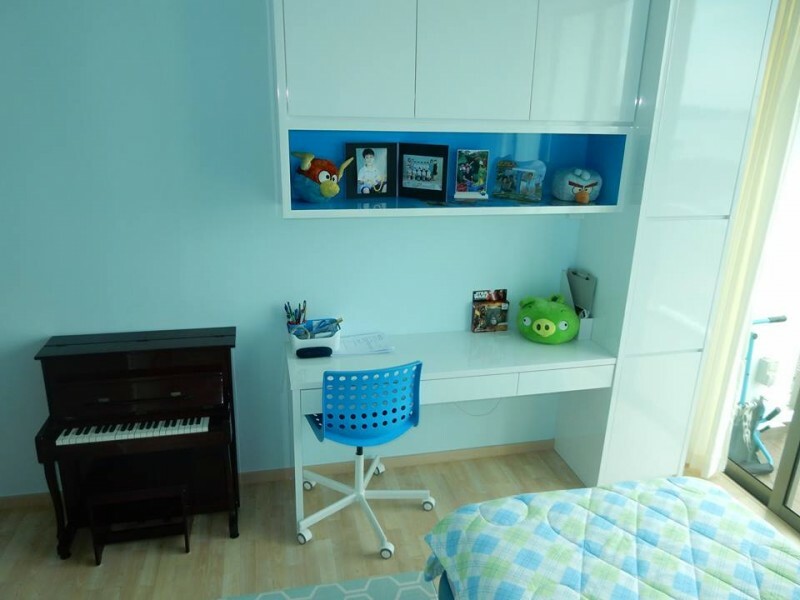 Practical experience is of the essence, and you need a real piano for that. 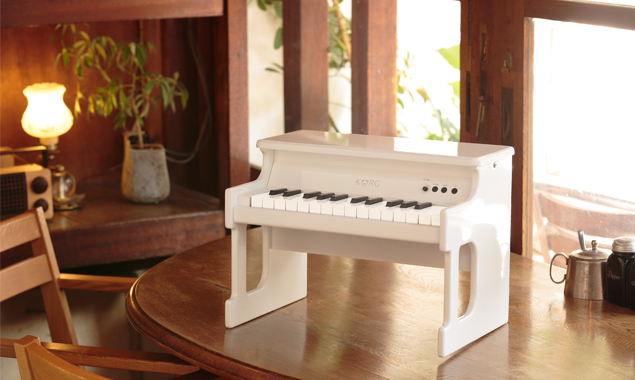 If you have a toddler niece/nephew whom you truly dote on, you might wish to consider getting them this Korg Tiny Piano at their 1st, 2nd or 3rd birthday - it costs only $200+ and is extremely small and light (doesn't take up much space). It operates either with batteries (which thus can be played at the bedside) or AC power, and has 4 colours to match surrounding furniture. 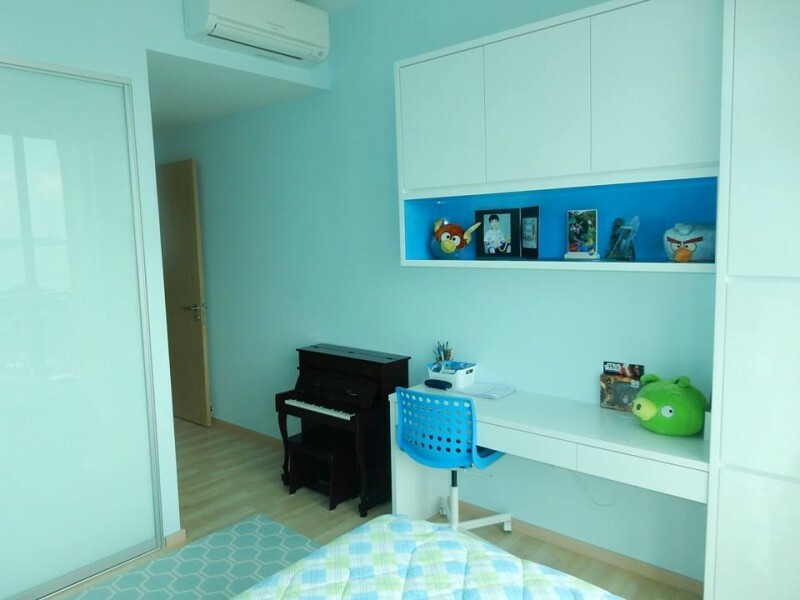 It has good acoustic piano sounds, as well as toy piano sounds! Can also perform octave shifts and many more! Nice. I only have the Kawai toy piano (which sounds more like a xylophone). Maybe I should get this as well. Yes, you can either get it from City Music or the music shop at the top floor of White Sands Mall. This is different from the Kawai one you mentioned, right? Yes, the Kawai one is strictly acoustic, and the sound is like a glockenspiel. But this is electronic.